What? You’re Not a Multi-Talented Person? | Why Be Tonto? What? You’re Not a Multi-Talented Person? 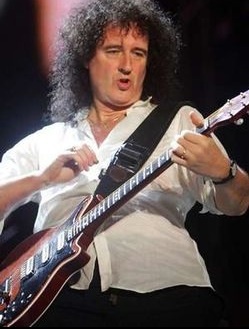 Brian May from Queen. A rocker and an Astrophysicist. Imagine being a homesteader on the plains of the Nebraska territory in 1843. You’d need to be good at many things to survive. Building a cabin, plowing the prairie, digging wells, enduring mind-numbing isolation … and that’s just for starters. Tommy Lee Jones embodies this sort of multi-talented ability in a film called The Homesman. It’s on Netflix. Catch it and see Tommy Lee Jones do two jobs, as an actor and director. He’s impressive on both counts. Jones’s double-act and the pioneer life on the Nebraska plains make us think about those with a capacity to succeed in more than just one field. We’re talking about individuals who can do almost anything with effortless aplomb. Chief among them could be Leonardo da Vinci. As you know he was an engineer, mathematician, inventor, musician, botanist and writer, besides being a painter, sculptor and architect. The artist, Paul Gauguin, was also a great writer. His book on the South Seas, Noa Noa, confirms it. It’s as involving as his canvasses. The greatest English language writer of the 20th century, Evelyn Waugh, was first a painter. Then there was the photographer, poet, author, actor, singer, and director, Leonard Nimoy. Call him a polymath … as you might remember from school vocabulary quizzes it’s a word from the Greek meaning ‘having learned much’. Polymath describes Matt Damon and Ben Affleck who started out as screenwriters on Good Will Hunting. The guitarist from the band Queen also happens to be, of all things, an Astrophysicist. So how does ‘polymath’ apply to business and your company? In many organizations people have their special abilities and often stick to them. Unbendingly so. Departments in enterprise-level organizations frequently work separately from each other in silos. You often see that with IT and Marketing. But how can you succeed if one department doesn’t communicate with the other? How do you move ahead when IT and Marketing work like nation states, separate in their culture, learning, language, vocabulary and view of success? When the two battle it out for leadership it’s your company that looses. Education could be the key … it’s a way to question old certainties to ensure they haven’t become new inadequacies. Time spent developing a wider view could make a difference. It could make you less vulnerable to disorder and ineptitude. Maybe HR could take this on. Instead of merely recruiting staff, they could optimize training and bring in professionals to do it. The right professionals can build internal coordination so your organization is more attentive and responsive to your customers and stakeholders. IT people could learn more about Marketing and bottom line thinking while Marketers could become more geeky and understand the demands of IT. A common ground could do away with fiefdoms, jealousies and the assumed knowledge that can make departments stumble. It would take time, money and hard work, but then life in the office isn’t always a walk in the park, is it? Take away the strife between IT and Marketing and you could sail ahead of your competitors stuck in silos. Leonard Nimoy would have approved of that. Because as Mister Spock might say, that’s not illogical.